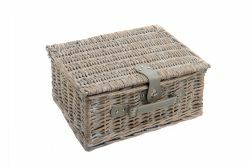 Make the most of summer this year with this traditional picnic hamper. Perfect for a trip to the beach or park, or to keep ypu fed and watered at a festival, this 24-piece set has all the bits and pieces you'll need for a wonderful al-fresco meal. 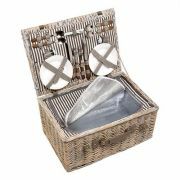 This 4-person piece includes the hamper itself, which boasts a generous cooler compartment, 4 each of knives, forks, spoons, plates and wine glasses, as well as closable salt and pepper shakers, and the all-important bottle opener. All you need to add is the food!